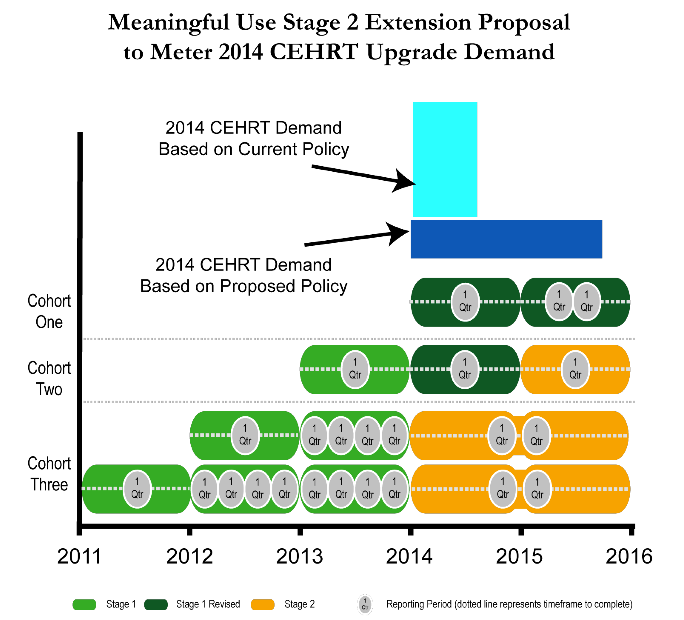 Why should providers continue with Stage 2 Meaningful Use? Providers currently meet either Stage 1 or Stage 2 criteria, depending on their implementation timeline. However, on March 20, 2015, the Department of Health and Human Services (HHS) announced a... The Georgia Comprehensive Cancer Registry/Georgia Center for Cancer Statistics (Georgia Cancer Registry--GCR) supports the submission of cancer data from Eligible Providers (EPs) participating in the Medicare or Medicaid EHR Incentive Programs that are planning to meet the Stage 2 public health measures for Meaningful Use. Not all Meaningful Use Stage 1 objectives apply to every provider's practice (e.g. dentists do not perform immunizations, chiropractors do not e-prescribe). In these cases, the provider can claim an exclusion from having to meet that measure and these exclusions are noted where applicable.